What You Need to Know About the Installation of a New Mixer? 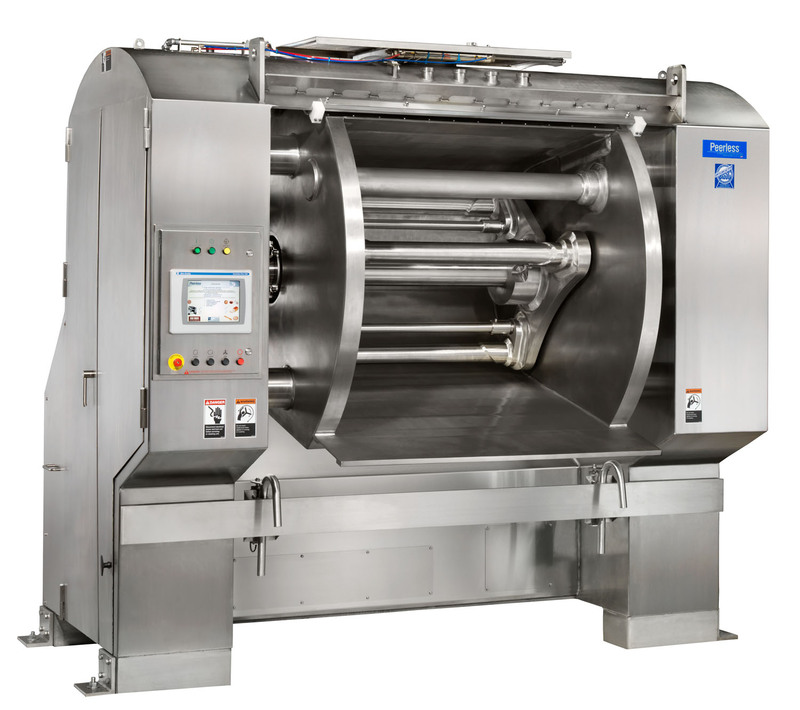 Your new Peerless High Speed Mixer will be arriving soon and you need to prepare! Here are a few quick topics to help you plan for it. Safety – the mixer is heavy and awkward. Use only experienced riggers to move and place the mixer. If tipped over, the mixer could cause serious injury or death. We recommend the use of personal protective equipment by operators, maintenance, service, cleaning, and all other personnel working in the operating area of a Peerless mixer when conditions warrant. 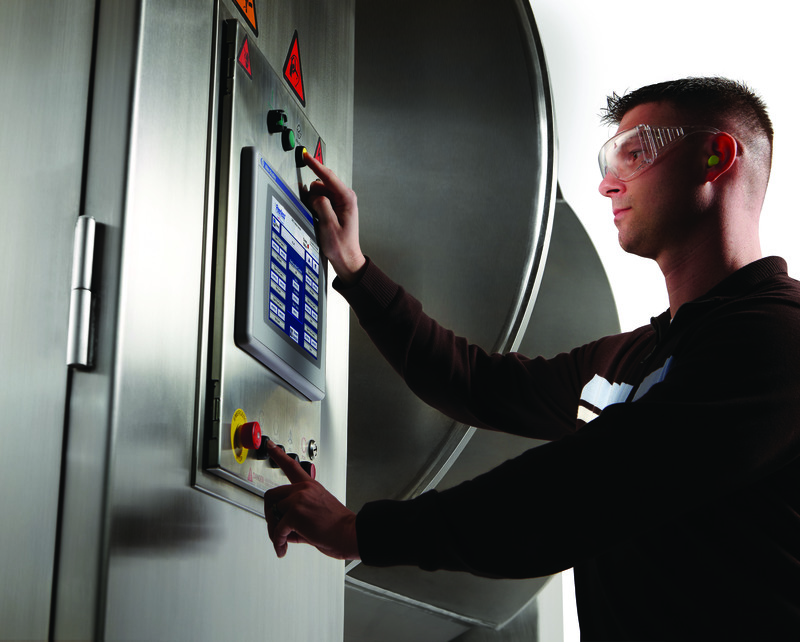 Personal protective equipment includes safety eye glasses, ear plugs with specified noise reduction rating (NRR) for the job, and respirators with adequate filters. When it arrives, it will be shrink-wrapped and on a skid. If it has been shipped overseas, it will arrive totally enclosed and crated on a wooden skid. Upon arrival and removal from the truck, your mixer can be removed by a forklift, crane or drag/push the mixer while still attached to the skid. We suggest lifting the mixer from the rear if possible. For export crating a forklift or crane and straps can be used as well. Do not lift mixers using canopy (bowl cover), agitator shaft, or bowl assembly. Lift mixer only at specified lift points. 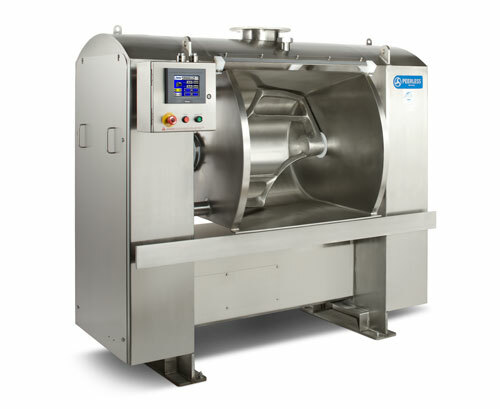 The standard Peerless dough mixer is designed with four (4) rectangular legs. These legs raise the base of the mixer 6″ (15cm) off the floor to allow for cleaning under the mixer. Optional leg heights and configurations are available. Provide ample space on all four (4) sides of the mixer for cleaning and maintenance. We recommend a minimum clearance of 3’ (1m) on the ends and rear and 5’ (1.5m) at the front. If possible, allow room at either end of the mixer for pulling the agitator shaft. Allow about 6″ (15cm) less than the overall length of the mixer. Allow enough room behind the mixer for the refrigeration hose loop and for removal of the motor. The end doors can be lifted off if necessary, but must be installed for operation of the mixer. The drive end of the mixer (sprockets, chain and drip oiler, or belt drive) is on the right end of the mixer. The Hydraulic Tilt System is on the left-hand end of the mixer as standard and optionally available on the right-hand end. Install the mixer near a waste-water drain. 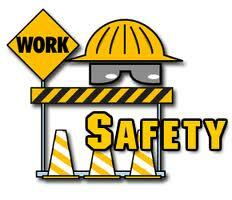 Install the electrical enclosure in a dry place near the mixer and in direct sight of the operator. 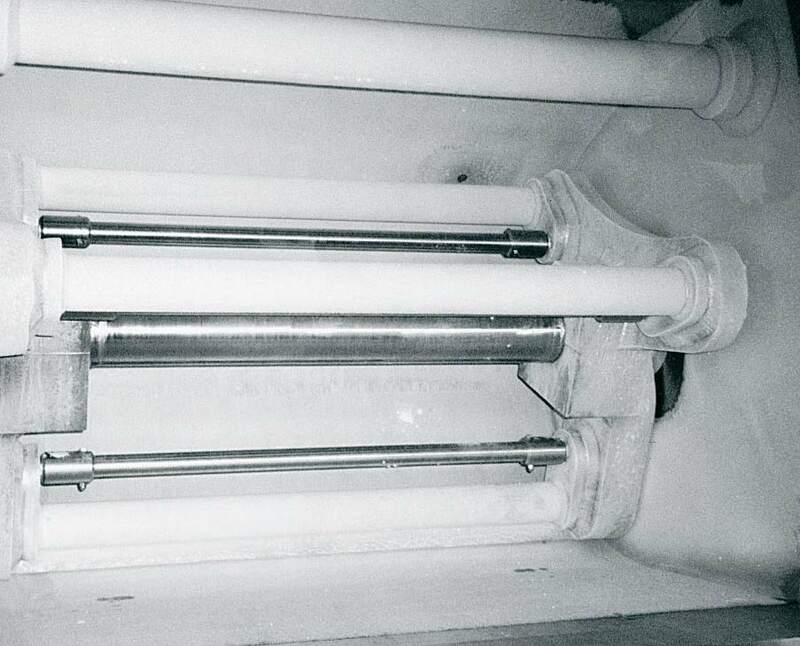 When a Peerless dough mixer is running, the load is such that the mixer must be mounted to the floor or pad. 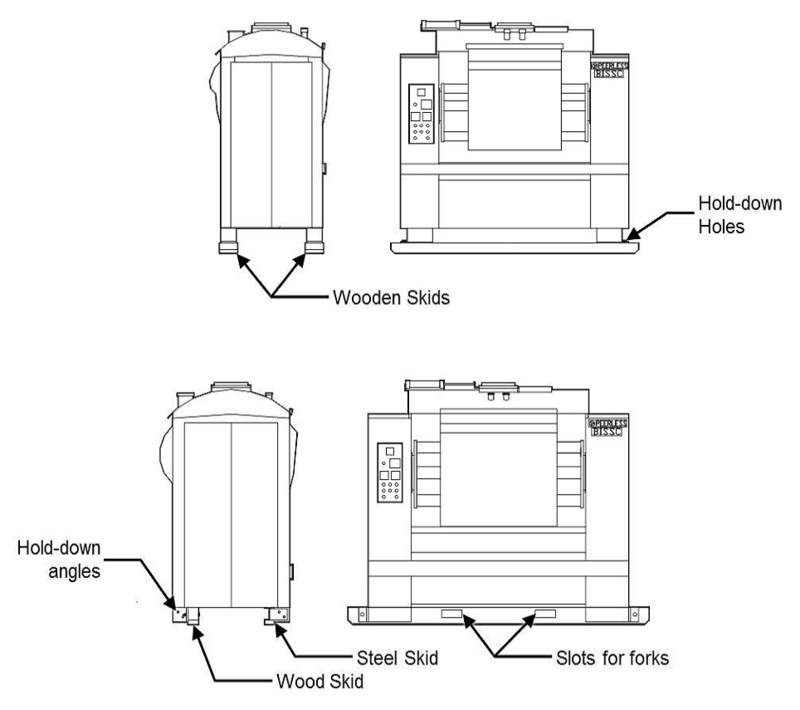 The Certified Data Sheet shows the actual style of the mixer hold-down legs and the dimensions and location of the mounting bolts. Because of the many factors in designing a pad for the mixer, we strongly recommend that an architect or structural engineer be consulted. BEMA has annual meeting – DIVE IN! BEMA held its annual meeting on June 19-24, 2014 in Fairmont Southhampton, Bermuda. Our very own National Accounts Manager, Patrice Painchaud was in attendance where wholesale bakers and snack producers got a chance to connect and interact with vendors and customers from around the industry. During the meeting, BEMA formed various customer panels (Sweets Snacks & Co-Pack panel, Family Owned Bakeries Panel and BIF -Bakery Industry Forum). These panels included guests from Pepperidge Farm/Campbell Soup Co, Baptista Bakery, Turano Bakery, Amoroso Bakery, Aryzta and Dawn Foods just to name a few. Throughout the six day event, the panels held information and discussion sessions where safety, innovation, niche markets and challenges of the day were discussed. What a great way to bring all sectors of the baking industry together to enhance dialog and culture! For over 85 y ears, BEMA (Bakery Equipment Manufacturers and Allieds) members have been providing customers with high quality products. Through their efforts; innovation, sanitation and production efficiencies are at the forefront and keep industry standards above average. Peerless has been a member of BEMA for over 30+ years. Patrice is the current International Committee Chairmen. The modern bakery has a variety of different doughs working for them today. Some doughs work better chilled and others work better at a warmer temperature. The normal final dough temperature for breads and bun dough ranges between 75°F. to 80°F. Products such as pizza or frozen dough have exit temperatures in the lower 70’s or cooler. For cookies and pies; it’s even lower. Cool down dough temperature with our Cold Bar & Cold BarPlus System. It is the solution to your temperature problems without adding ice, chilled water, flour and other ingredients to the mixer. Our Cold Bar & Cold BarPlus System includes a refrigerated jacket, bowl ends and breaker bar. It also comes with our exclusive refrigerated agitator bars. When you combine the two systems, you have the largest refrigerated area in the industry where the dough is always in contact with a refrigerated surface, and you can lower the dough temperature up to 8-10 degrees compared with the standard jacket cooling. Glycol system is designed so that there are no jointed, moving elements in the product zone which is ideal for the production of English muffins, hamburger buns, bread and frozen doughs. Maintenance is important to ensure your mixer is working properly and to safeguard the long life of your equipment. Monthly inspections are necessary to check for leaks in the agitator and proper lubrication assessments should be scheduled daily or monthly depending on the use of the machine. See your Peerless Service Technician for any questions. 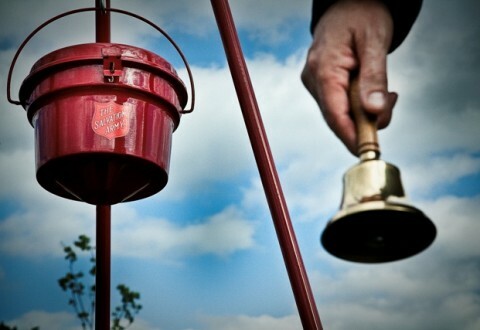 Each year, Peerless employees volunteer to take an hour out of their day to ring the bell for the Salvation Army Red Kettle Campaign. On November 27, 2013, seven employees rang the bell from 10 AM – 5 PM at the local Kroger grocery store in Sidney, Ohio. 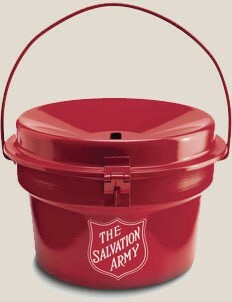 The Salvation Army is an extraordinary organization that is worldwide and assists more than four-and-a-half million people during the Thanksgiving and Christmas time periods. Kettles are now used in such distant lands as Korea, Japan, Chile and many European countries. Performance, reliability and durability are key words for our newest innovation! 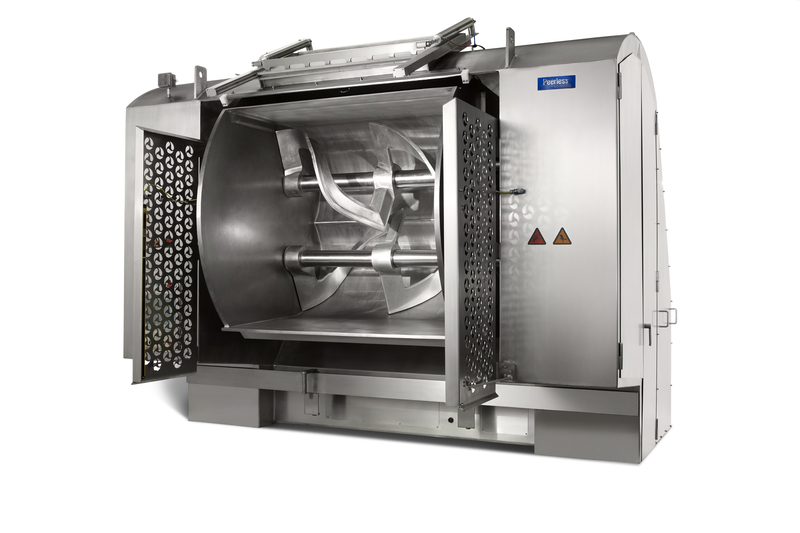 Our Rotary Dough Feeder automatically feeds dough to dividers or forming equipment without changing the dough condition or temperature. The exciting advance in design is the addition of the treatment on the cutters. Our Cutters have an embedded blue surface treatment that is FDA compliant, which enhance release of the dough while offering a durable surface with extended life!! The benefits of this cutter treatment are Non-Stick, Thermal Stability, Corrosion Protection, Chemical Resistance, Low Friction, Wear Resistance, and Excellent Adhesion. The dough feeders are suitable for bread, roll, biscuit, cracker and cookie doughs. 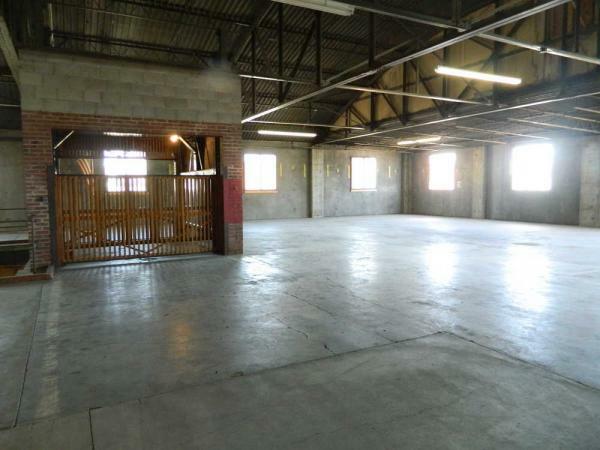 Our open design is easy for routine maintenance and sanitation. 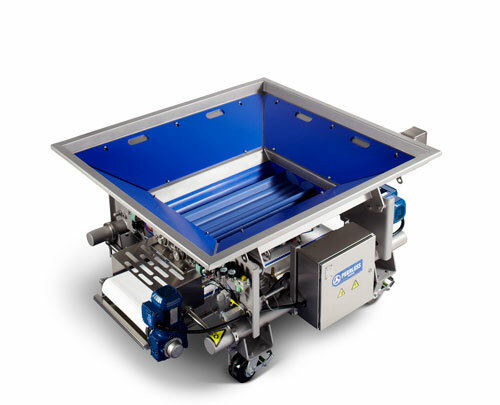 Along with quiet operation and a portable design, Peerless has a more efficient approach to dough handling. 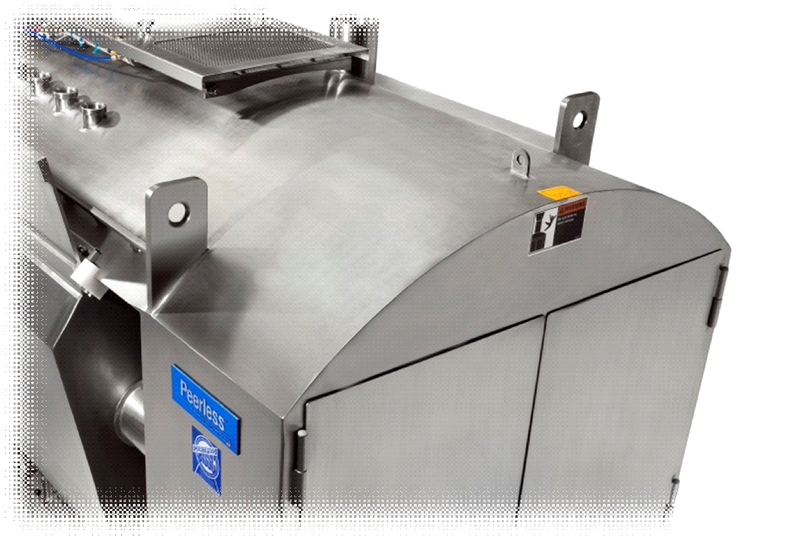 Visit Peerless Food Equipment today for more information.